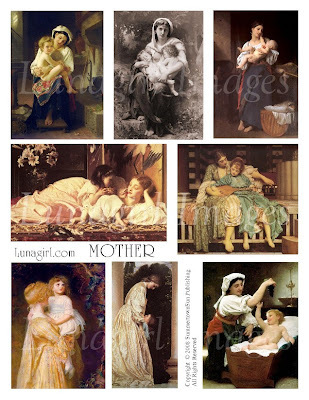 Lunagirl Moonbeams by Lunagirl Vintage Images: Collage Sheets for Mother's Day! 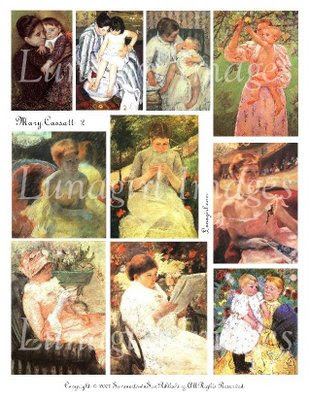 Collage Sheets for Mother's Day! 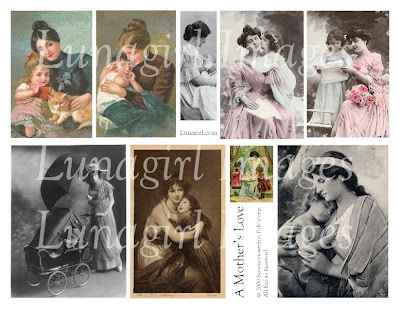 Lunagirl collage sheets for Mother's Day cards, tags, and other projects. 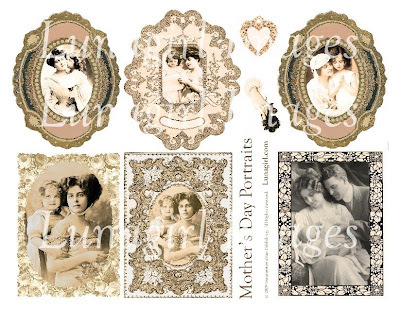 The design above incorporates old photos and frames combined and altered to lovely sepia tones. I love your work!! I have purchased your butterfly cd & bird cd & just love them! thanks so much!